Hi! 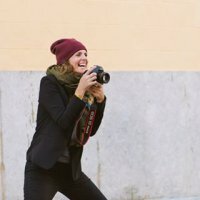 I am a photographer living in Sitges near Barcelona and I work in Spain and the UK. I love to photograph weddings and Sitges and Barcelona are a destination wedding couples dream. My wedding work expresses a love of people and I swing more towards being a reportage style photographer when it comes to weddings. I love to capture humour, emotion and movement. Yet I also love a few staged and creative shots as they can be so much fun and my experience with lifestyle and portrait photography( and my past as a fashion model) informs those moments. How I see, compose and capture unfolding stories is rooted in a passion for life and an impulse to communicate that visually with the viewer and if I am blessed to be capturing a love story then I am delighted, as it is after all... all about the Love!